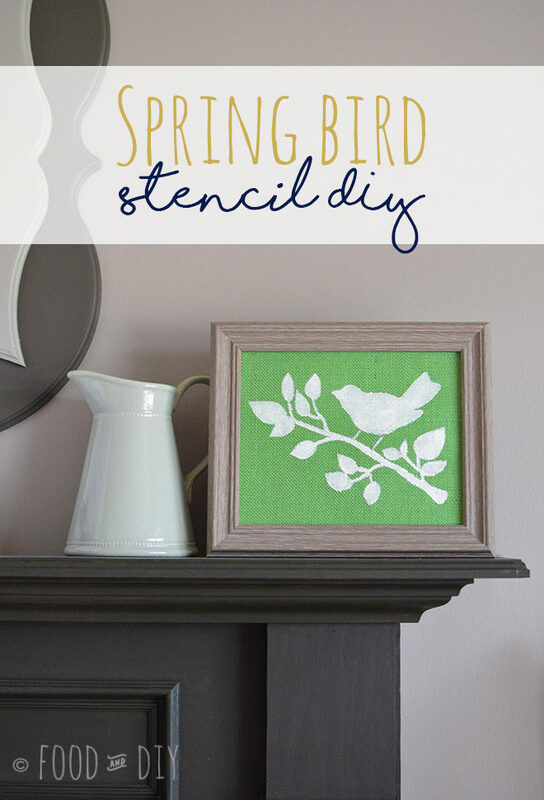 This Spring Bird Stencil DIY is SO FUN. This would be a GREAT activity for kids!! 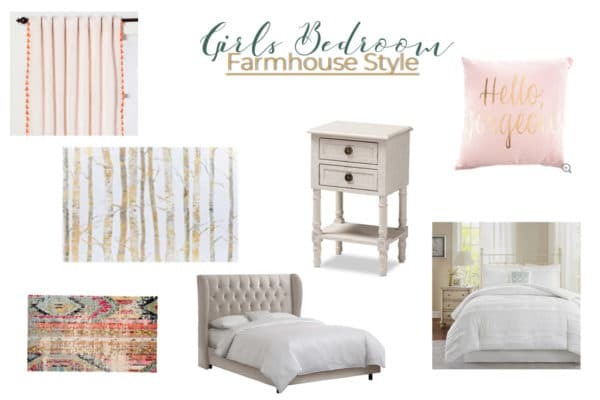 Plus a great way to change up your decor seasonally! How adorable is this? 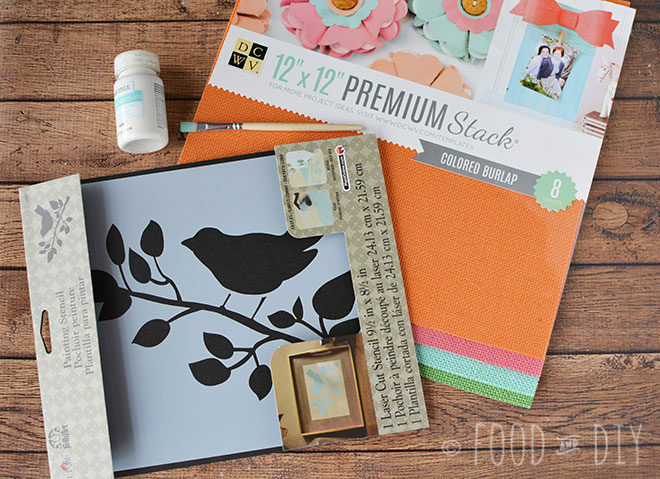 There are SO MANY options and varieties that you can make with this fun DIY idea!! It’s so simple but so beautiful! I love it! 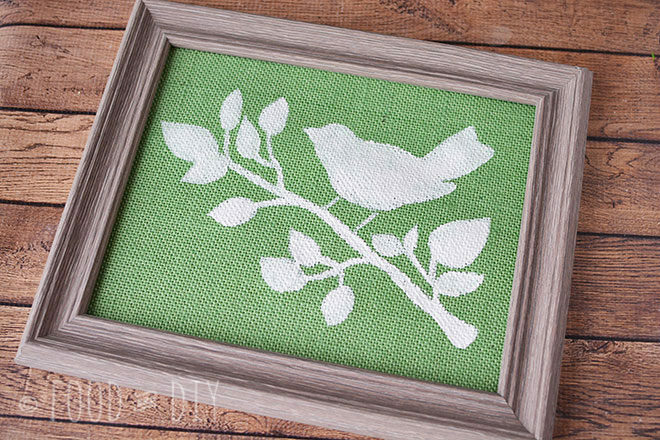 This Spring Bird Stencil DIY would make a GREAT inexpensive gift for Mother’s Day (coming up soon! ), birthdays, or just because! This idea would also be great for kids rooms too! Well, really any room depending on your stencils! 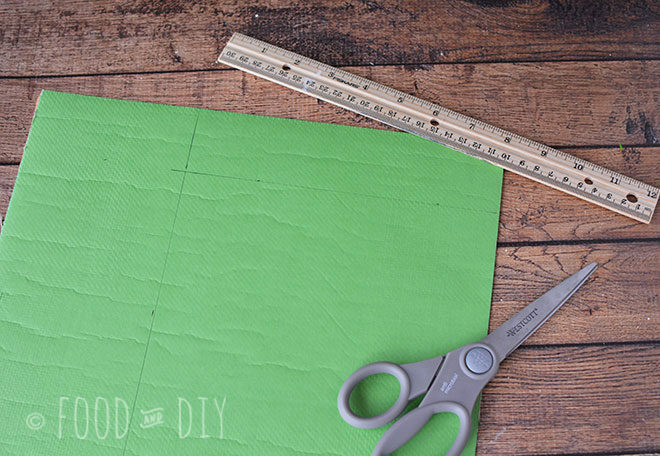 Use your ruler to measure an 8×10 piece of burlap scrapbook paper. Use scissors to cut out the piece. 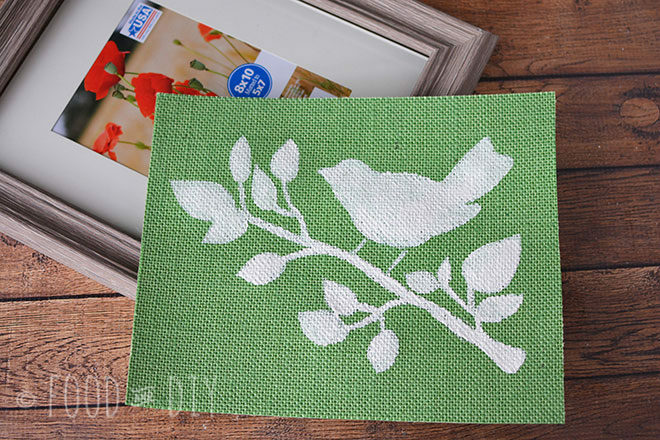 Center your stencil onto the burlap and attach it with masking or painter’s tape. 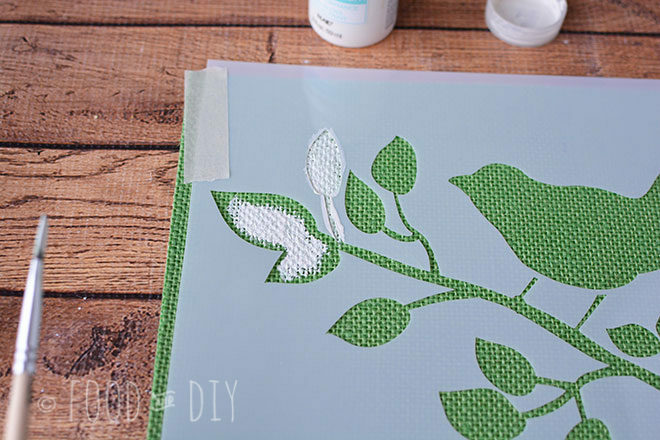 Use white acrylic paint and a paint brush to fill in the stencil. I like to start in the center of the stencil area and apply paint and “mash” it into the burlap so that it coats the entire burlap texture. 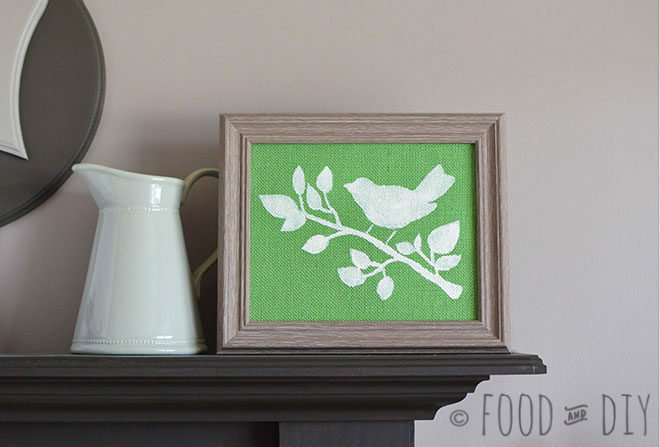 I use a little less paint on the edge of the stencil and the burlap so that it does not bleed under the stencil. Continue until you have the entire stencil area painted. 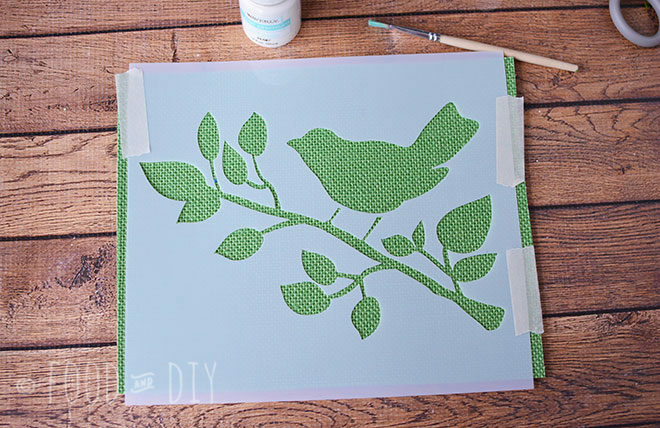 Remove the stencil and let dry completely before putting into a frame. You can place your bird behind the glass or in front of it. Either way looks great. 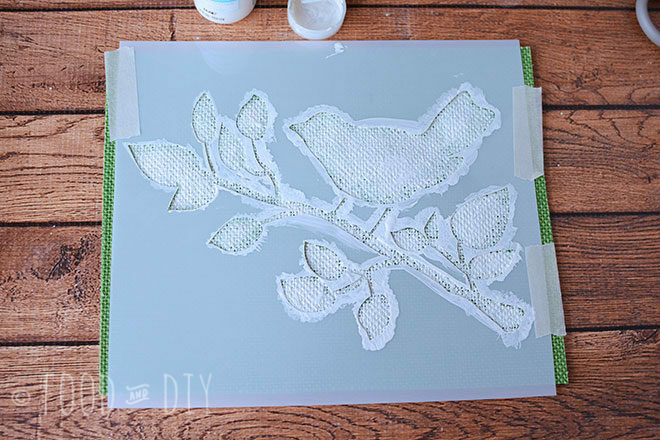 Wash your stencil with warm soap and water. And set aside to dry and use again! That is so cute and a great way to change out your decor for different holidays or seasons!